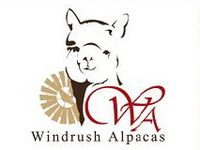 Windrush Alpacas offers a variety of alpacas for sale, from fiber quality alpacas to production dams, herdsires and show alpacas. Don't see anything you like? Have a specific type of alpaca in mind? With over 70 alpacas at the farm and customers who have consigned their alpacas to us for sale we are sure we can find an alpaca to suit your needs and your budget. Call us at (575) 683 5177 or drop us an email and let us work with you to help you find that special alpaca for your herd.